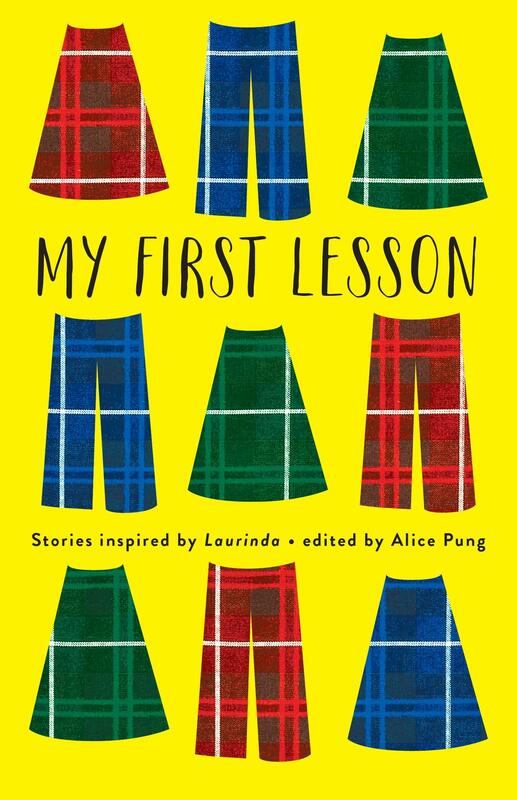 Following the success of Alice Pung’s first YA novel, Laurinda, comes a collection of vivid and surprising stories from young Australians. Inspired by themes of identity and belonging, conflict and bullying, power and fairness, Alice has selected 25 stellar stories from hundreds of entries by Australian secondary school students. Teenagers are often written at by adults, but My First Lesson is a rare opportunity for twenty-five teenagers to tell their own stories in their own inimitable ways. Keen young writers were invited to respond creatively to the themes in Alice Pung’s award-winning YA novel Laurinda, and the results are authentic and varied. Anthology editor Pung explains in her excellent foreword that her policy was to select stories that are not only polished and literary, but also those that are raw, genuine, direct, and inclusive of marginalised writers. This makes for extremely lively and moving reading. The selected writers have been bold and experimental in their pieces, working with symbolism, fairytale, confessional memoir, epistolary stories, realism, comedy, science fiction and much more. Some have explored difficult first days at new schools, others have described racist jibes, parental neglect, domestic violence and jarring migrations. There are common threads running through My First Lesson, beyond the desire to experiment: a willingness to philosophise and tackle big issues and ideas, an equal willingness to call out injustice and inequality, and an earnest and heartfelt depiction of emotion. Several of the writers speak of knowing that they’re young, but already feeling ‘old’, something I remember from my own cynical and weary teen years. Reading My First Lesson was a great reminder for me of what it felt like being a teenager, but also what it was like being a teen writer searching for language to express the many thoughts I had at that age. Teen readers will recognise themselves in the anthology; older readers will gain a greater understanding of what it’s like to be a modern adolescent. Proceeds of My First Lesson will go to the literacy organisation Room to Read. Leanne Hall is the Grants Officer for the Readings Foundation and also works as a children’s bookseller at Readings Hawthorn.